Welcome to our page of tips for cheap ways to decorate a teenage girl’s bedroom. In the glam world of Instagram, teenage girl’s rooms showcase expensive furnishings topped with expensive décor. And of course, what teen girl wouldn’t want her room to be Insta-fab, or even Insta-famous? First things first, have your teen create a mood board or give you some images for inspiration. This will help them determine their personal style. Whether it is full on glam, surfer chic, or rustic, you will be able to create a well-designed space within you budget. If you already have the large furniture such as bed, dresser, desk, and bookshelves, considering giving them an update with a fresh coat of white paint. If you are in the market for new furnishings, look to stores like Ikea, where you get a lot of bang for your buck and the internet is chock-full of websites showing cool Ikea hacks to customize your purchases. Don’t be afraid of thrift stores and garage sales, you never know what cool treasures you might find, big or small. Look at them with the eye of a designer, what can you change to make it fit in with your design? Every great design includes great lighting. General lighting, task lighting, and decorative lighting serve not only to make the room look good, but to make it functional. Decorative lighting might be fairy lights in between layers of tulle for a canopy over a daybed, in between the layers of a sheer bed skirt, or a couple of led-lit silicone cubes tossed casually on the floor near some floor cushions. Hanging lights can be strung in a variety of ways to enhance the mood of the room and allow a girl to display her own personal sense of style. Task lighting is needed at a desk where homework and drawing are done, at a make-up mirror, and next to the bed for late night reading. When lighting for specific tasks, telescoping and adjustable arms are highly desired, and when task lighting is used for make-up, go for a full-spectrum bulb to mimic daylight. General lighting are overhead lights and floor or table lamps and can serve both form and function. Replace that frumpy domed light cover with a small chandelier or upside-down drum shade, both are easy to find at big box stores and are inexpensive and easy to install. Pillows are great accents for just about any room, and this is especially true in teen rooms. Sleepovers, study groups, or just loafing around require the use of many pillows in all shapes and sizes. You can use pillow forms or old throw pillows that could use a little update. Whether you sew or not, there are quick and easy ways to cover your old pillows. 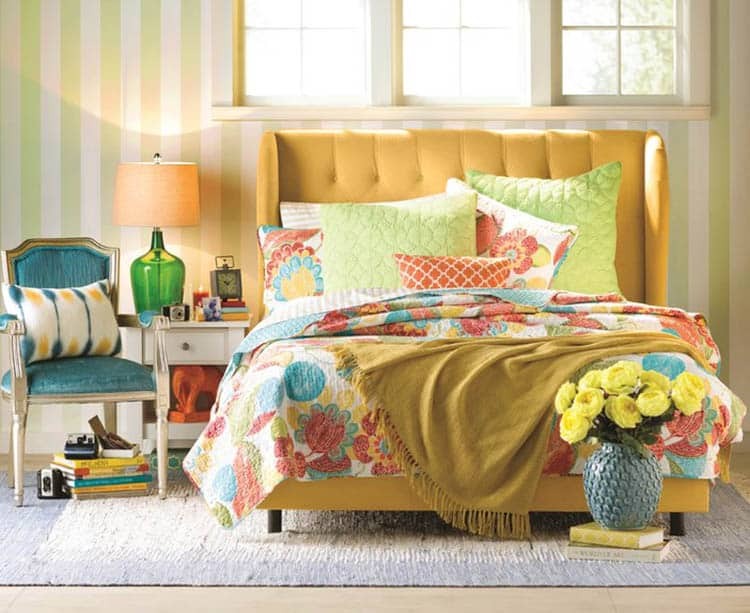 Changing the bed linens, quilt or comforter is a quick way to bring in a theme change to a teen girl’s bedroom. Some popular picks for girls bedding prints include, teal, floral, watercolor, unicorn, song lyrics, mermaid, pink pattern, chevron pattern and famous city landmarks such as Paris or New York. Think beyond purchasing pillow covers or fabric, why not use an old tee-shirt or button-down shirt? All you need are two squares (or rectangles, depending on the shape of your pillow) about the same size as your pillow, glue or sew three edges together, right sides facing each other, then flip inside out, stuff your pillow in, and sew or glue the remaining edge. There are several online tutorials that show you how to do this. For large floor cushions, you can even snag some cute sheets on clearance and make custom pillow covers out of them. Add ribbons or trim as you wish, depending on your tastes. 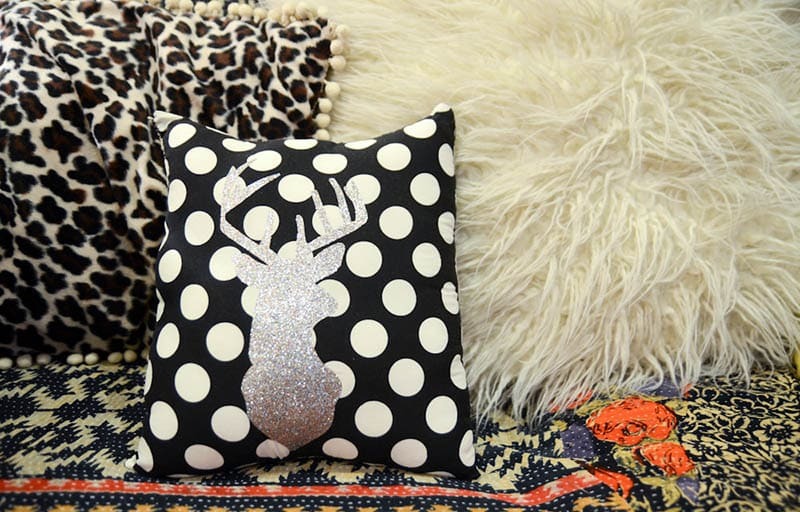 Splurge on a couple of smaller decorative pillows with sequins or in a special shape, layer them in with your homemade pillows, and you have a fun look with plenty of functionality. Creating decorative storage boxes using spray paint, colorful papers, and even with bags from your teens favorite store are perfect for a budget-friendly make-over. 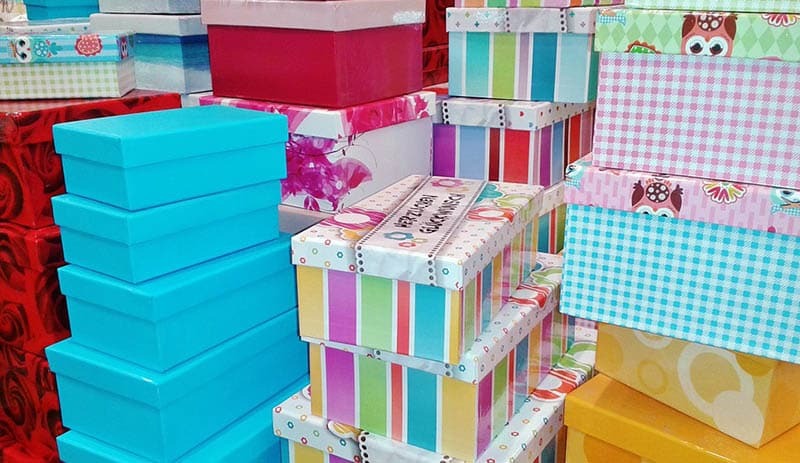 Grab a few inexpensive cardboard boxes from your local craft store (or use shoe storage boxes or even cereal boxes) and spray paint them gold or another color that works with your design and use them to store all of those little what-nots that tend to find their way into your teens life. These boxes come in just about every size and shape, some even look like books or handbags. Cover a cheap, plastic make-up brush holder with a bag from your teens favorite make-up store. You can also frame bags in inexpensive frames if you have a teen who loves make-up and fashion. Most of the bags from the most popular stores come in great colors that can help you set the tone for the rest of your design. A wood plank headboard can be an easy to create DIY project that can bring a lot of character in to a bedroom. A headboard like this can be made to look a little more feminine by painting it white or a pastel color for great results. A fun way to personalize a bedroom is by adding a custom name wall. 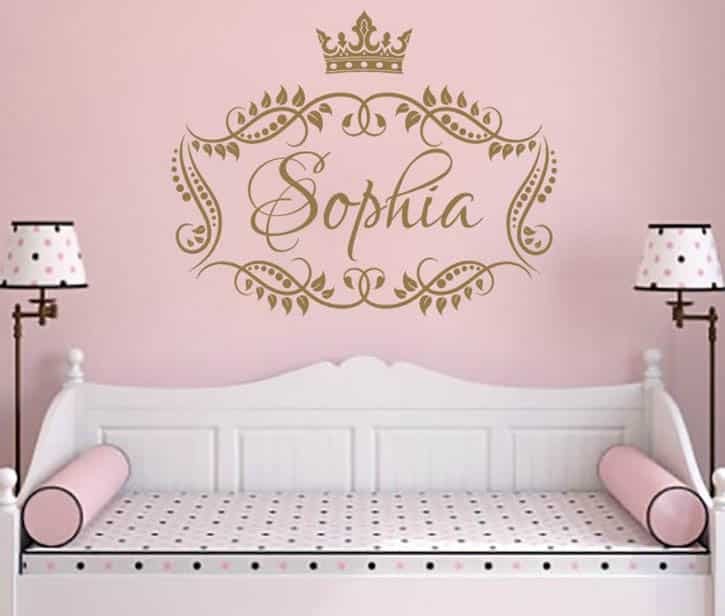 You can use an inexpensive stencil to do it yourself or buy a custom created name decal that you can adhere to the wall above the bed. The most budget friendly of all though, is paint. 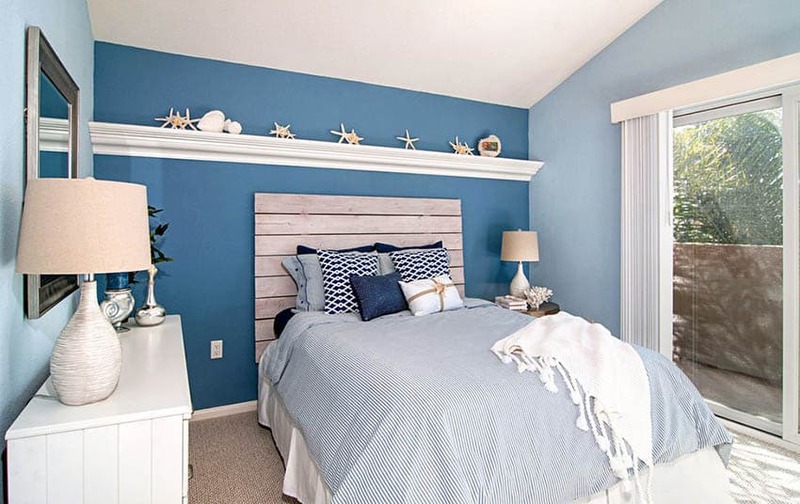 Wall paint can really change the mood and look of a room. 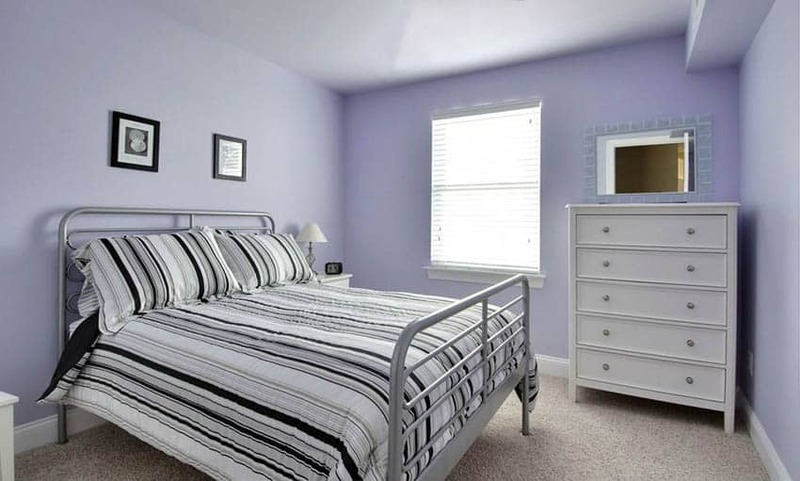 An ombré wall done in tones of purple look amazing behind a bed. Horizontal stripes in black and white make a bold statement. A soft grey provides a neutral that blends into the background and allows the accessories and artwork to shine. A pop of bright red on the back wall of a white bookshelf gives a cheery brightness without overwhelming the space. For an artistic teen, a layer of magnetic paint topped with a chalkboard paint gives a room-sized palette to decorate with their artwork. Don’t be afraid to go bold or bright, or even dark and moody, it is easy to paint over when a new look comes along. Decorating for teenage girls doesn’t need to be expensive. Allow them to seek out what inspires them and look to a mix of DIY, inexpensive furnishings, thrift stores, and paint to make their dreams a reality.